PEABODY - Was it witchcraft that stopped the steady rhythm of the waterwheel at Pope's saw mill on Norris Brook in West Peabody? 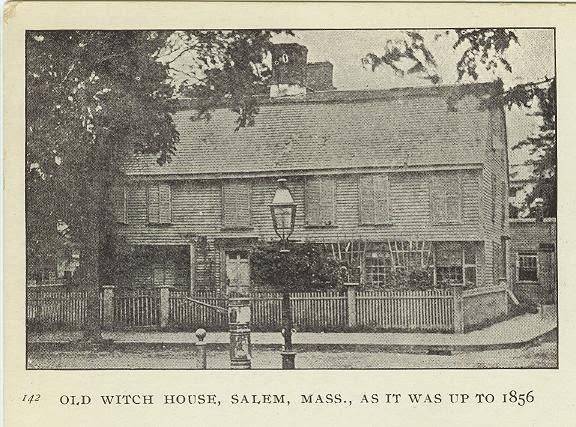 That's what the miller told the court during the witch hunt of 1692, when the area around Crystal Lake was owned by two families intimately involved in the witch hysteria - one, an accuser, and the other, the accused. 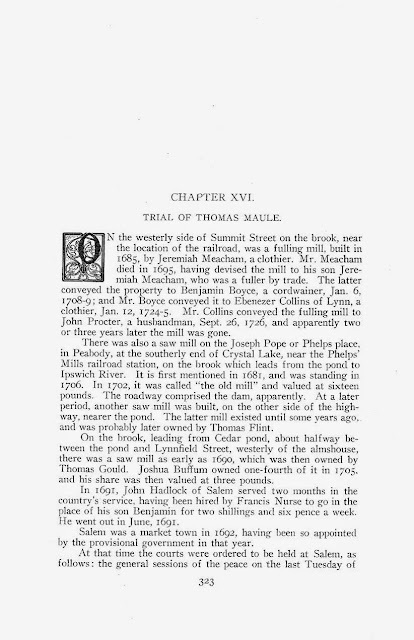 "The miller here in 1692 was afflicted by the prevailing witchcraft," wrote John Wells in The Peabody Story. 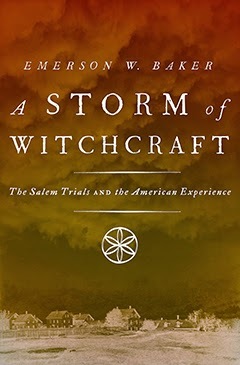 The millter testified that his mill wheel was "unaccountably stopped and would not go, and no reason could be assigned except the demonical malice and power of some witch." The haunted mill may have been owned by the family of one of the persons who claimed to have been afflicted by witchcraft, 42-year old Bathshua Pope. She married Joseph Pope, Jr. in 1649 and was living with her widowed mother-in-law, Gertrude Pope, within the immediate vicinity of the farm of victims and martyrs, Martha and Giles Corey. Bathshua Pope, a member of the Folger family from Nantucket, was the aunt of American patriot Benjamin Franklin. She and Joseph had eight children. According to the New England Historical and Genealogical Register, when Joseph died in1712, he named all his children in his will, except for the first two, "and notes that the eldest daughter was inferior mind, as probably had been her mother; at least, she was much afflicted in the witchcraft days." The localized witchcraft outbreak took on hysterical proportions by the fall of 1692, with more than 150 people examined and sent to prison. Nearly 50 people falsely confessed to being witches who had made a covenant with the devil to assist in assaulting people in the area. Nineteen persons who maintained their innocence, including the three accused by Bathshua Pope, were tried, found guilty and hanged. "Mrs. Pope" accused Martha Corey, as well as Rebecca Nurse and John Proctor, of inflicting pain upon her body through witchcraft. At the trial of Martha Corey in March 2693, she joined with other afflicted women in calling Martha "a gospel witch". Marion Starkey, author of The Devil in Massachusetts,wrote, "Even while Martha proclaimed her innocence her devils had not been able to resist devising new tortures for the girls. What Martha did, now they all did. If she bit her lips, they yelled that she had bitten theirs, and came running up to the magistrates to show how they bled." The following month Rebecca Nurse was arrested and tried. During the examination, several afflicted persons reported seeing "a black man" whispering in Nurse's ear. The judge stated, "What a sad thing it is that a church member here and now…should be thus accused and charged." At which point, "Mrs. Pope fell into a grievous fit and cryed out a sad thing sure enough; And then many more fell into lamentable fits." Also in April, Elizabeth Proctor, the pregnant wife of John was accused. At her trial, John Proctor's specter attacking Mrs. Pope. Chadwick Hansen in Witchcraft in Salem reported that "immediately Goodwife Pope fell into a fit." Earlier in this century, two postcards depciting the "haunted mill" were published. A color postcard prepared by D.F. Bresnahan of Peabody shows two wood-frame structures, 2 1/2 stories each, located on either side of a 10- to 12-foot-wide stream with a catwalk bridge connecting the two buildings. One card also includes the following statement, "Site of Giles Coveys [sic] Mill who was pressed to death for refusing to plead in his trial for Witchcraft in1692." Today at Crystal Lake, a conservation area, there are two stones which were placed in remembrance of Martha and Giles Corey during the witchcraft hysteria tercentenary in1992. City planner Judy Otto researched the history of Crystal Lake. She does not think the Pope sawmill was the haunted mill. She wrote, "At the head of Crystal Lake, at Goodale Street, on the west side, lived Captain Thomas Flint. 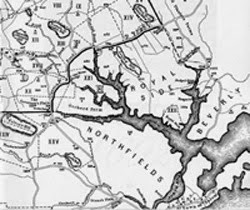 The house was contained on the farm of Giles Corey, according to boundaries shown on the map. Giles himself lived further away on the other side of the property, on what is now Johnson Street, near Oak Grove cemetery. These two (Flint and Pope) were the only dwellings shown in the vicinity of Crystal Lake. Flint's mill was built after the Pope mill by Thomas Flint on the opposite side of Lowell Street and closer to the pond. This mill, which existed until the 20th century, is the mill Otto believes is the haunted mill pictured in the black-and-white post card that was printed by the Peabody Historical Society in 1905. It is titled "Haunted Mill near Phelps Station, Lowell Street, West Peabody, Mass." Interestingly, Joseph Pope Jr.'s sister Gertrude married Eben Flint, a son of Thomas Flint.